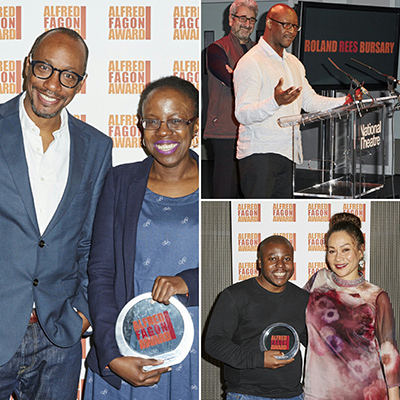 The annual Alfred Fagon Awards took place at Dorfman, National Theatre recently. 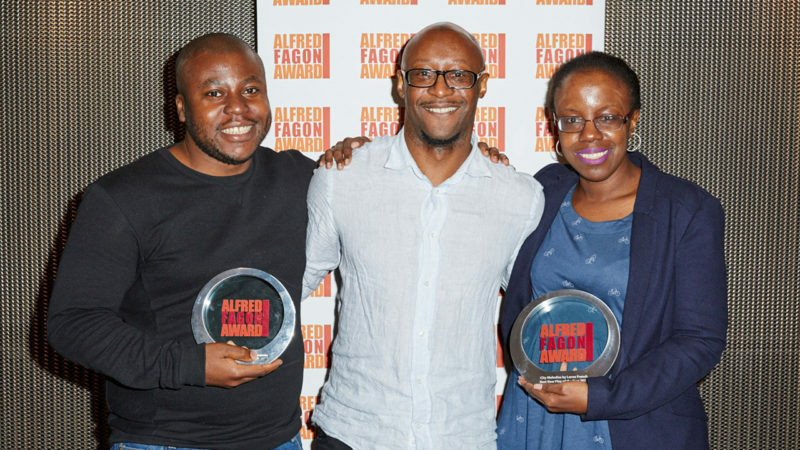 Michael Buffong, Artistic Director of Talawa Theatre Company presented the award and cheque for £6,000 to Lorna French, winner of this year’s Best New Play of the Year, supported by The Peggy Ramsay Foundation. 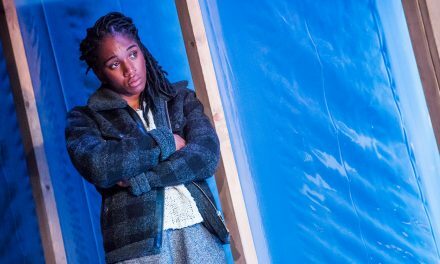 The themes uppermost in Lorna’s play, City Melodies concerns the fragmented sense of home and the impermanence of life as explored through the experiences of first and second generation immigrants to London. 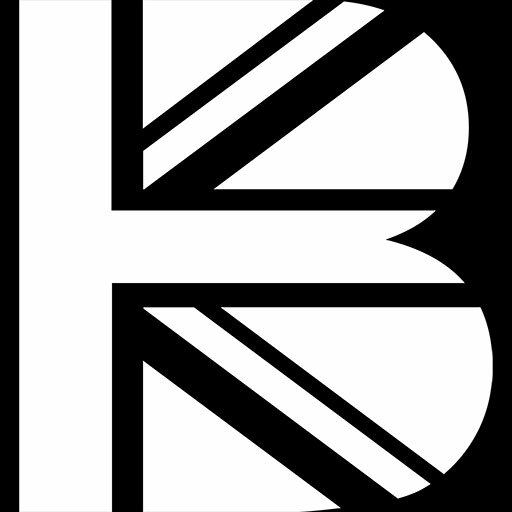 Other themes include the negative repercussions of putting people into boxes based on a prejudiced response to the unknown. Finally, the theme of persevering despite adversity and pursuing your dream is also explored. 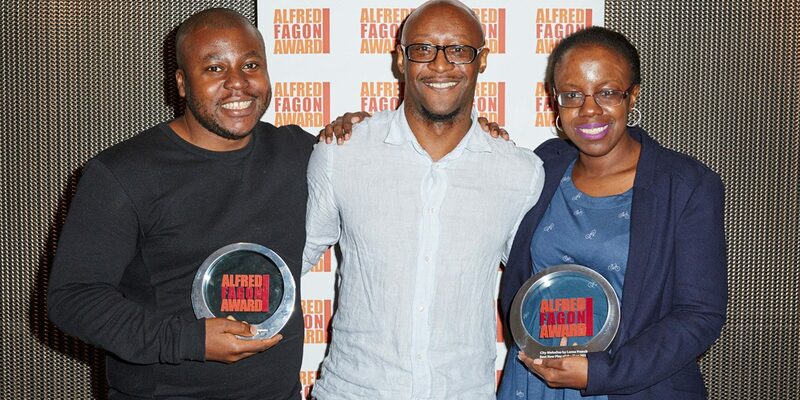 This is the second time Lorna has won the Alfred Fagon Award for Best New Play of the Year. She won in 2006 with Safe House. Last year Lorna was selected to be one of 16 writers on Eclipse Theatre’s 3-year Revolution Mix Project for which she is writing a full length play with support from Birmingham Rep Theatre; and earlier this year Lorna was selected to take part in BBC Doctors shadow scheme. 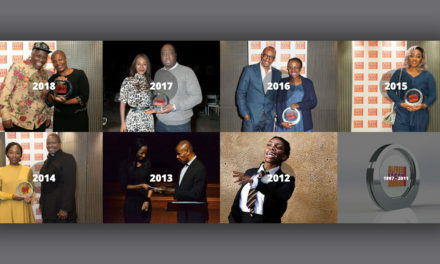 The winner of the Audience Award for plays staged between September 2015 and August 2016 was won by May Sumbwanyambe for his play, After Independence. 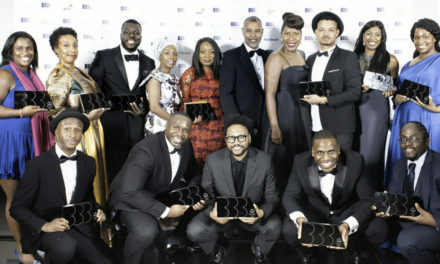 May was presented with his Award by actor, Martina Laird who is currently starring in the, Shakespeare Trilogy produced by Donmar Warehouse at King’s Cross Theatre. 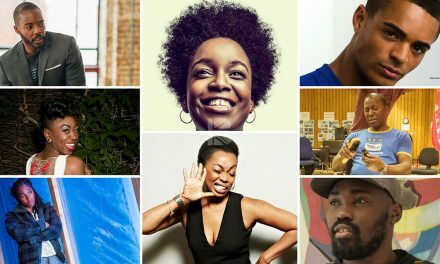 This year’s recipient of the Roland Rees Bursary, named in honour of the co-founder of the Alfred Fagon Award and leading theatre director from the 1970s and 1980s who died in September, was writer Courttia Newland. Courttia was presented with a cheque of £3,000 by David Aukin, Executive Producer from Daybreak Pictures and friend of Roland Rees. 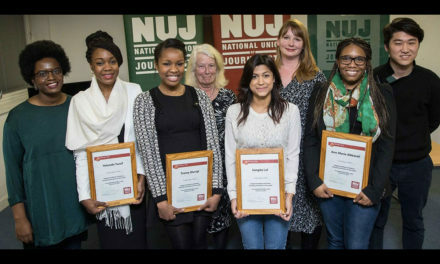 The bursary is awarded annually and enables writers to devote more time to their writing. 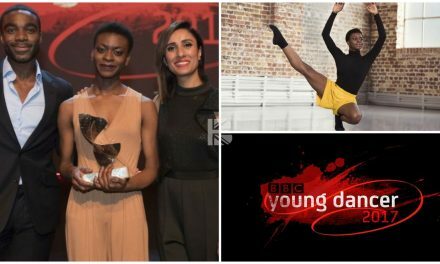 20 Year Old Nafisah Baba WINS 3rd BBC Young Dancer Competition 2017! 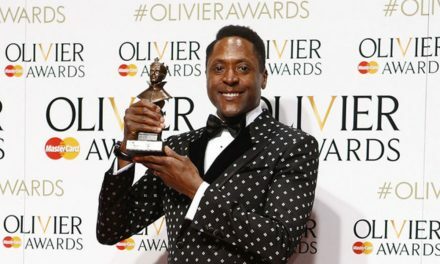 Matt Henry to Co-Host 2017 Olivier Award Nominations; Sir Kenneth Branagh Named Special Award Recipient.